For those who might need a little more hand-holding, Bob Fosse was a dancer turned choreographer turned stage and film director responsible for the sinuous and yet fractured style of dance you might associate with jazz hands, wrist isolations, and hat work. Gwen Verdon was a four-time Tony-winning star of Broadway and of several shows Fosse worked on, including Sweet Charity and Chicago. Verdon and Fosse were married in 1960, and separated in 1971, in part because of his numerous infidelities, but they never divorced and remained close until his death in 1987. And as Fosse/Verdon emphasizes, she was a key creative force in their partnership. The series is heavily influenced by Sam Wasson’s biography Fosse, but the change in title alone reflects the creators’ interests in elevating her involvement. 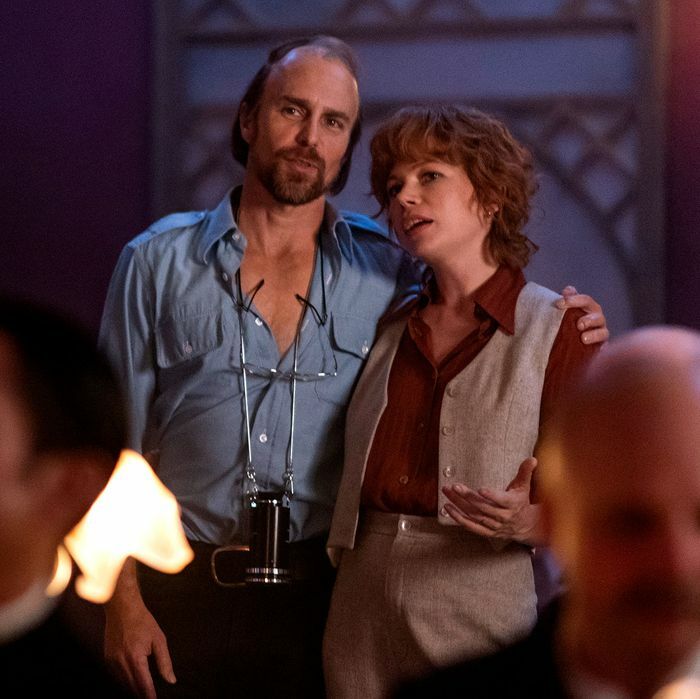 In order to re-create Fosse and Verdon’s work, the show also portrays their friends and collaborators, many of whom are famous in their own right. The cast includes numerous Broadway actors as recognizable figures — including Kelli Barrett as Liza Minelli, Ethan Slater as Joel Grey, and Laura Osnes as Shirley MacLaine — who were chosen not because they bear an exact resemblance to the people they’re playing, but because they had the right energy for the roles. “These are people we felt had something in their DNA that just matched,” according to Kail.